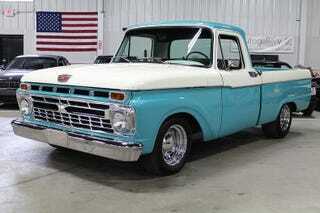 That my wife who mostly hates cars and has completely shunned my Studebaker, has a “thing” for ‘61-’66 Ford trucks. There are a few around my neighborhood, and every time she sees one she says “I really like THAT truck. What is it?” And every time I reply “It’s a ‘61-’66 Ford”. Then, I showed her several images of old trucks... Apaches, Internationals, Studebakers and so on, but every time I showed her one of those Fords, she loved it. Mind you, this is a woman who can see absolutely no difference between the current gen RAV4 (which she drives) and the newly debuted redesigned RAV4.